One of the biggest questions I get asked quite often with this blog is “what is your hair color?” So I thought I’d dedicate a page to my hair color, how I do it and where you can find the same! My hair color is a deep brown-red color and can look different depending on the lighting. Here is a good picture of the true color. I like my hair dark. I’ve tried blond before – believe it or not – and it just wasn’t a good look. My husband also prefers this color on me so I’ve stuck with it for quite some time. The color I use is from a company called Madison Reed. You can buy their products online and they even have a system where it’s sent to you on a schedule that you choose. So if you color your hair every 6 weeks, you’ll get the color in your mail every 6 weeks! 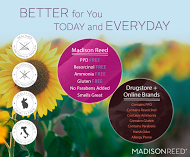 Here’s some more reasons I like Madison Reed. They are doing their best to make the healthiest hair color available. Anything that I can use that will be healthier for me and my hair is fine by me. Not to mention their customer service is amazing, it’s so easy to order and the product works great. They also go above and beyond in what they provide for you. If you were to go out and grab some store bought hair color, which I used to do, it comes with the color, some gloves, and some shampoo and conditioner if you’re lucky. Madison Reed comings with a hair cap, two sets of gloves, barrier cream, cleansing wipe, shampoo and conditioner! I loved the shampoo and conditioner so much I just bought some more for myself! They have some other amazing products that I love as well. The root touch up is amazing. I don’t have grey hair wigs yet, but if I did, this would always be in my purse for sure. Just dust a little on your roots to cover up the trouble areas and you’re ready to go! It also helps to go longer in between hair appointments! 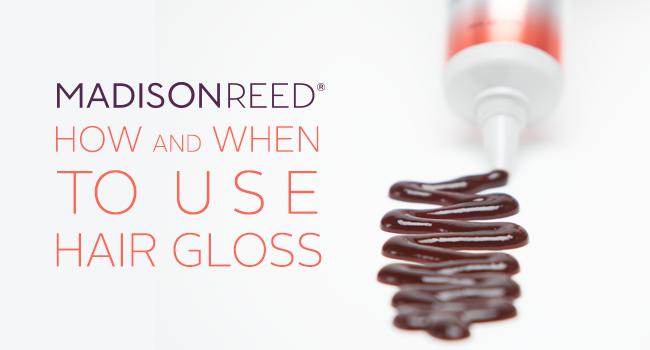 With red hair, this gloss is a perfect fix. Red hair tends to fade faster and easier and it’s harder to keep vibrant. With using the hair gloss in between colors you can keep the color & shine going! This way when you do color your hair you only have to color the roots and therefore damage your hair less! And since the gloss doubles as a deep conditioner, you’re golden. Okay, all that to say, I use (and obviously LOVE) Madison Reed. This is not a sponsored post. They are not paying me to write this nor do they even know that I have! I am, however, an affiliate, so if you happen to purchase this fabulous product, I will receive a little cut. The price will always stay the same for you. Now, don’t think I forgot! I wanted to wait to share the color I use. It’s called Trieste Red and you can find it here. I’ve also written a bit about helping make your hair color last longer and how to maintain healthy hair! 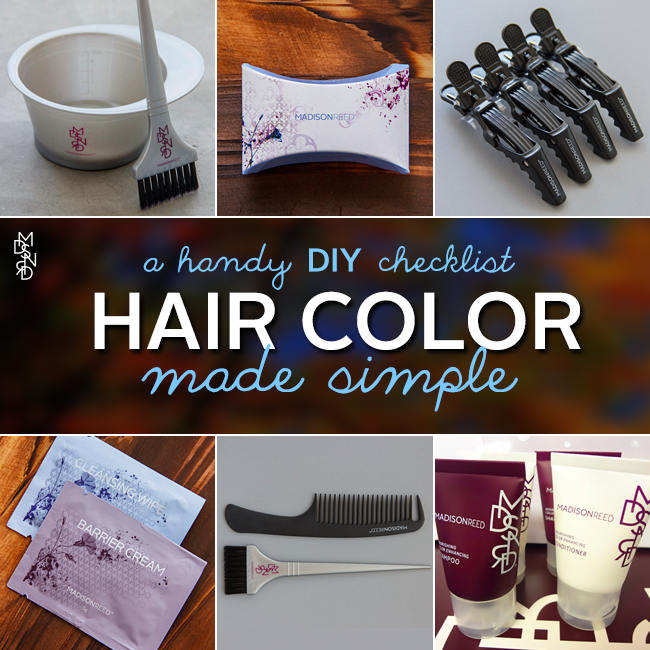 Hope this is helpful for you when making a hair coloring decision! Any other questions, please feel free to e-mail me natalia@manouvellemode.com or leave it in the comments!